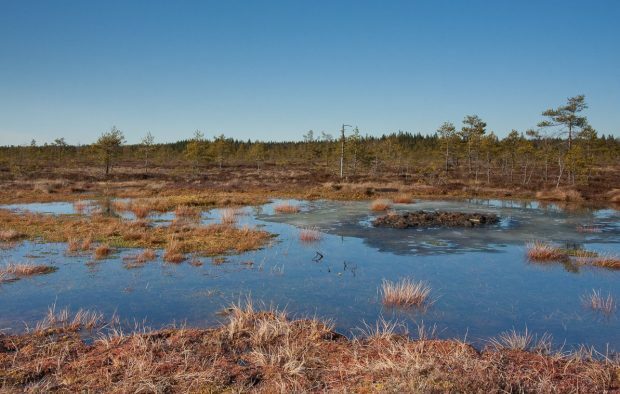 With this new method microbes obtained from swamps produce methane from hydrogen, carbon dioxide, biogas and wood gas. It also offers a solution for storing renewable energy as methane. There is a pressing need for clean, carbon sequestering technology that could replace fossil fuels and be put to use quickly and easily. Qvidja Kraft, a new company founded by Saara Kankaanrinta and Ilkka Herlin, offers one solution. Qvidja Kraft launches a bioreactor system that produces biomethane to be used as fuel. The ground-breaking part of this new technology is its solution for a crucial problem of renewable energy: its storing. The system stores solar and wind energy and hydropower with high efficiency ratio. Previous methods to store surplus electricity as methane have been high in energy intensity and hard to manage. Qvidja Kraft’s bioreactor combines carbon dioxide and hydrogen into methane. Moreover it can convert synthesis gas into methane. The sale of biomethane starts in the summer of 2017 at Qvidja Kraft’s filling station and the sale of biomethanation equipment starts in autumn. Marko Niskanen, one of the developers, remote controlling the biomethanation process. Qvidja Kraft has its roots deep in the swamp. 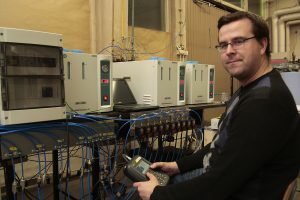 Professor Erkki Aura developed a pilot version of a reactor, where microbes obtained from the swamp produce methane and water from carbon dioxide and hydrogen. Researchers Anni Alitalo and Marko Niskanen continued the work and managed to build a bioreactor that can be used to both produce methane and to store energy. Several patents are pending for the innovation. Compared to other methods to produce methane, a method that uses microbes is cost- and energy-efficient. Microbes do their work in approximately 50-60 degrees celsius and at normal air pressure. To produce methane they need hydrogen and carbon dioxide. Carbon dioxide can be obtained for example from biogas or as a by-product of industrial processes. The hydrogen source for Qvidja Kraft’s bioreactor can be a wood gasifier or any other source that produces carbon monoxide. Synthetic gas is transformed into methane through two reactors. First one reactor transforms carbon monoxide into hydrogen and carbon dioxide, which are then channelled into another reactor, where microbes use them to produce methane. After pressurisation methane is ready to be used as transportation fuel. Qvidja Kraft’s methanation technology will be built to have great scalability to meet small farm-scale needs as well as industrial-scale plants. This method does not replace existing biogas technology. Instead the reactor can be installed into a biogas plant to increase methane gain by even 66 per cent from the original. 40 per cent of biogas consists of carbon dioxide, which has to be removed before the gas can be used as fuel. With present methods carbon dioxide is released into the atmosphere. With Qvidja Kraft’s method it does not just get removed but it is channelled into the reactor, where it is used to produce more methane. This makes Qvidja Kraft’s biomethanation method a carbon sink. Fast growing or cheap trees, such as waste wood or woodlike grass and shrubs can be gasified to produce wood gas. This means huge global potential for Qvidja Kraft’s biomethanation method. Woodlike raw material does not compete with food production and does not erode the soil like farming does. The biggest challenge with renewable energy has been its storing. When there is a lot of solar or wind power available as electricity, it can be used to electrolyse hydrogen from water. Hydrogen is then used to produce methane. Out of all the renewable energy storage methods, methane has the longest storage time and largest storage capacity. Intensification of biogas plants, using waste wood as material for methanation and the possibility to store renewable energy are all globally new things. With Qvidja Kraft’s biomethanation method the emissions that were earlier released into the atmosphere are now transformed into raw material and taken back into fuel circulation. The method increases energy self-sufficiency and safety and decreases dependence on imported fuel. It is an efficient source of renewable energy as well as a carbon sink. Qvidja Kraft produces and sells biomethane and know-how and technology regarding biomethanation. The founders of Qvidja Kraft are also the founding members of Baltic Sea Action Group and Soilfood.